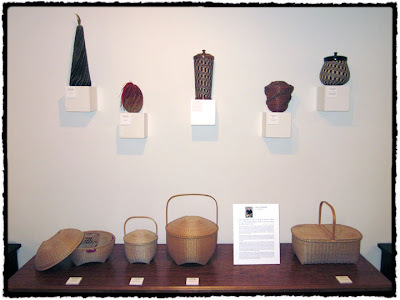 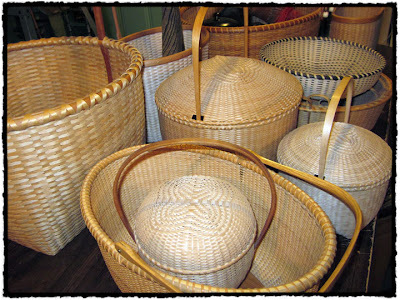 I was honored when my childhood hometown Chamber of Commerce asked me to display my baskets for the month of December. 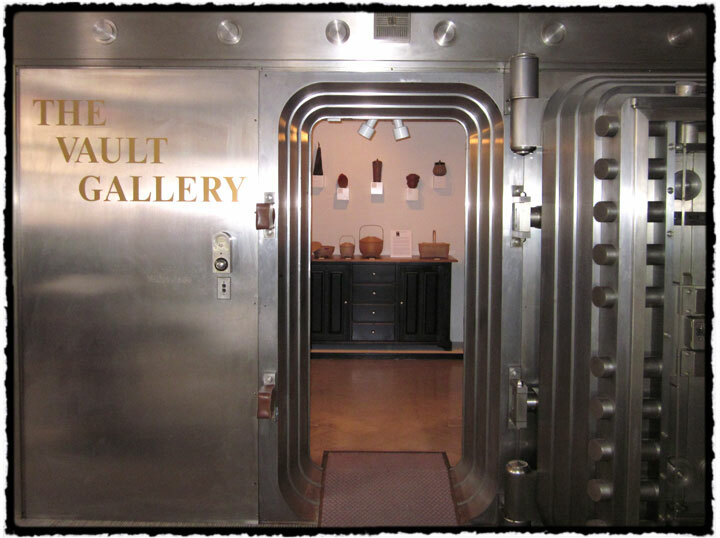 The Chamber is now housed in an old bank in the town square and they turned the old vault into an exhibit space. While small, it actually makes for a nice exhibit space. 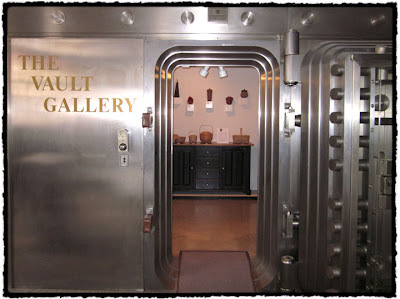 Mirrors on both ends makes the room seem larger than it really is and the old lock boxes add an interesting backdrop. 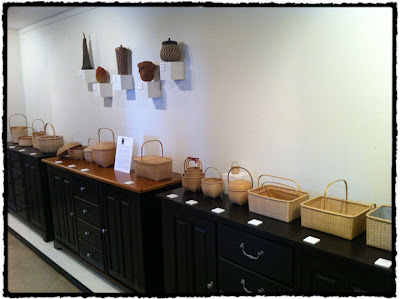 If on some odd chance you happen to be in Mexico, MO during the week this December be sure to stop by for a look. 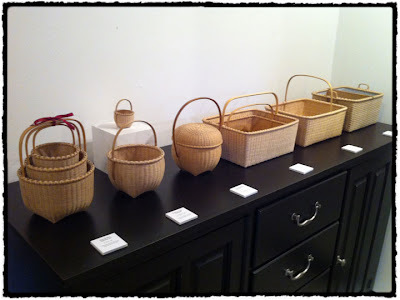 If you can't make it, here are some photos of the display. 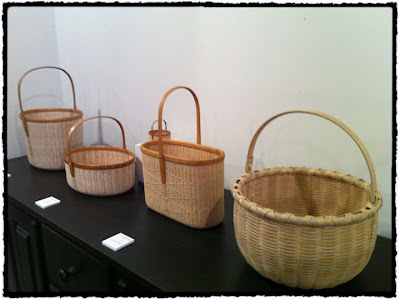 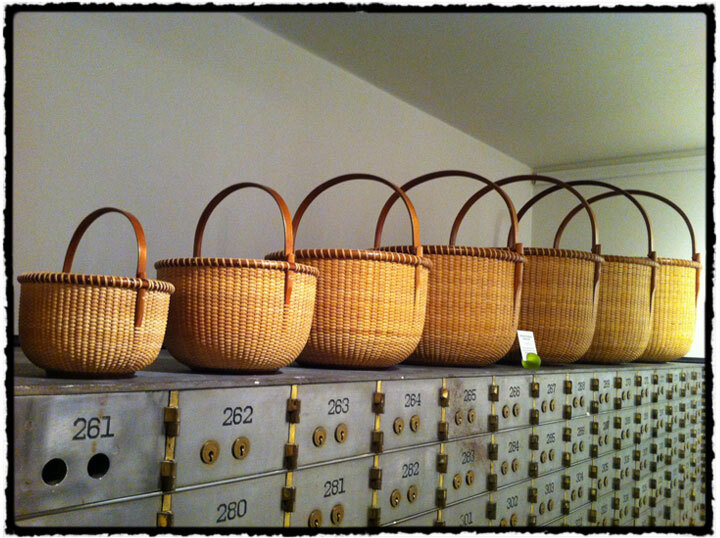 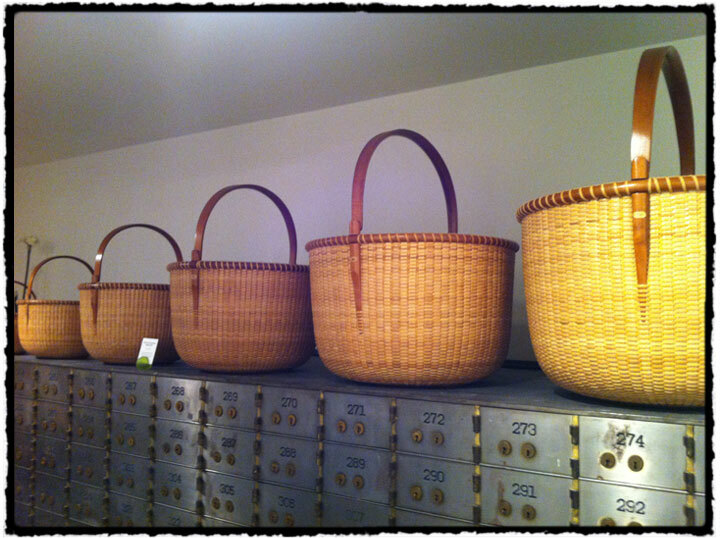 what a cool place to have your basket exhibited!